Folkvid was a prominent man in Badelunda. 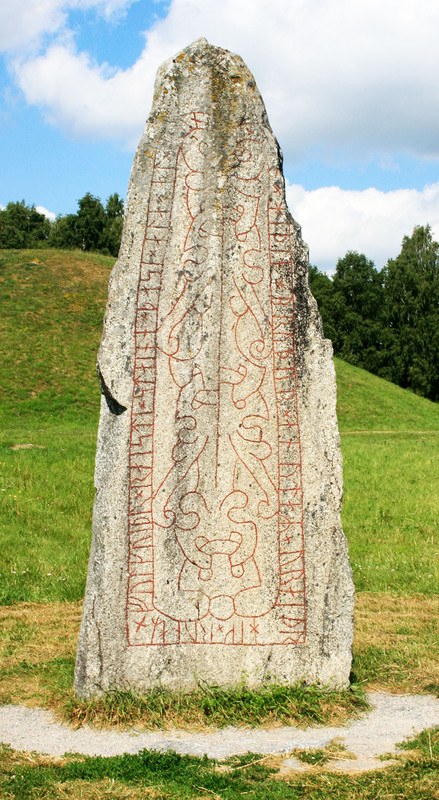 He paid for this remarkable stone which has an illustration unique to Swedish runic stones. He also paid for the road to be built past the mound and marked it with a row of monoliths. The road was to be used when the newly crowned king rode through his realm to receive the homage of his people.